You are at:Home»Reviews»Qmee Review 2018: How does Qmee work? I find myself dealing with mixed feelings I sit down to write this Qmee review! To check out Qmee click here. 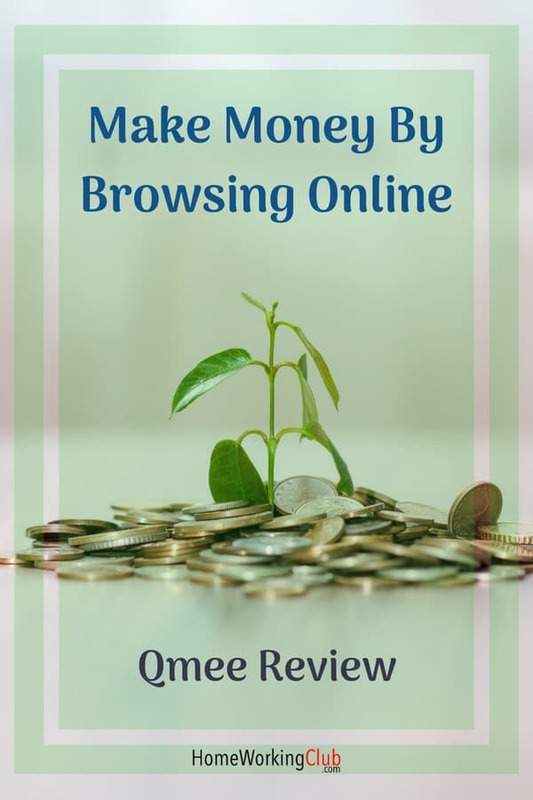 Qmee is an online service that allows you to earn a modest amount of money online from a combination of searching, shopping, and taking surveys. It’s something you may wish to consider as a “side gig” if you want to earn some extra cash. To be completely honest, I set myself up to dislike Qmee, and I DO dislike some elements of it, which I discuss below. However, since I’ve had it installed, it’s slowly started to charm me. I originally intended to remove it from my computer as soon as I’d finished this Qmee review. Now I’m tempted to keep using it. 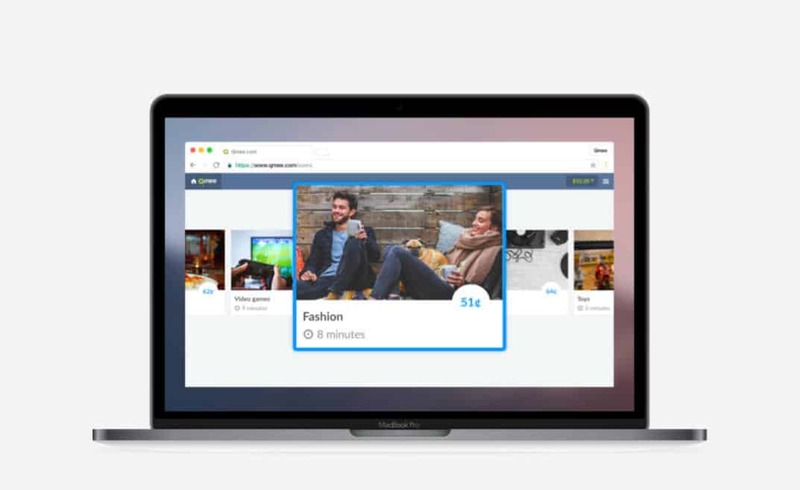 Qmee is a browser extension, and also available as a mobile app. Once installed, it augments your web browsing experience by looking at where you go online and what you search for. As you can see, I have an additional set of suggested results from Qmee on the left of the screen. If I click through from those results and / or go on to buy something, I may earn some easy money. Failing that, I can at least see a voucher code to save some money. For example, I’m moving house soon and in the market for a new sofa. After searching for “reclining sofa,” I earned 6p (8 cents) just for clicking through to my chosen store from Qmee’s results instead of Google’s. 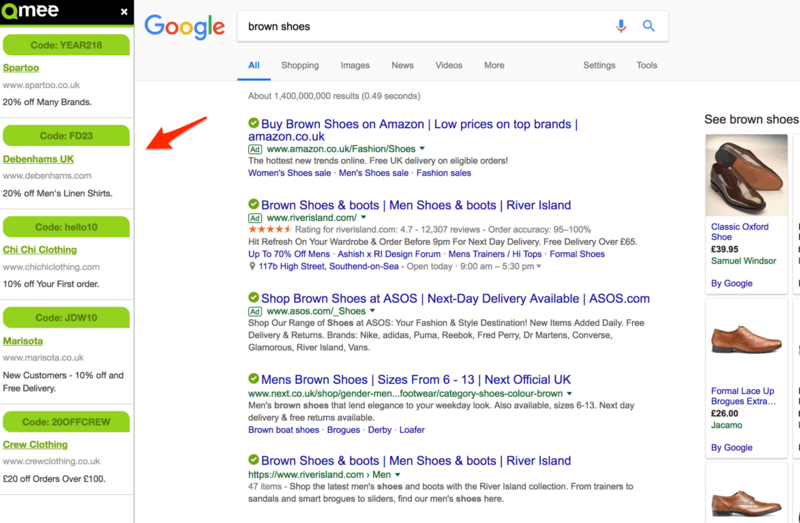 Income from searching and shopping is one half of what you get with Qmee, the second is access to surveys, which you earn money from completing. We have lots more details on those below. Now’s as good a time as any to explain why I had serious misgivings about Qmee when I first started using it. My decision to produce a Qmee review was prompted by my nephew, a student who’s been using it to earn some extra money online. He spoke very highly of Qmee, having made a decent amount of pocket money from it, and recommended it to me for this site. The papers have been full of privacy scandals recently, and while I’m no “tinfoil hat” conspiracy theorist, I’m not really a fan of the “nothing to hide, nothing to fear” argument. I don’t have anything I feel I need to hide, and have made my peace with the fact the likes of Google, Facebook and Apple know an awful lot about my life. However, I don’t believe in making it easy for more and more companies to have free access to that information. Now, if you decide to fill out surveys for money, which is also a part of Qmee, you have to make a call on whether the sacrifice of some privacy is worthwhile for the financial reward. Interestingly, my nephew thinks it is. I asked him about this as I was genuinely intrigued, and his inference was that his generation has pretty much accepted that “the powers that be” know everything they’re up to. My response was that he’s probably right, but I prefer to at least try to minimise the areas where my privacy is compromised. In case you think I’ve gone off on a tangent here, it’s actually really relevant to this Qmee review. You see Qmee has lots of plus points, which I’m about to move on to. But if you hold your privacy dear, and would rather not add to the list of companies who can already see everything you do online, that may be reason enough to avoid it. Qmee is really slick. I installed it as a Chrome extension on my Mac, and it works seamlessly. The interface is clear, and having it installed is reasonably unintrusive. That said, you may prefer to disable notifications of new surveys – as on some days there are a LOT of them! If you want to take a look at your account and earnings, you can click on the new Qmee button on your browser toolbar. This shows a “piggy bank” value, which increases when you earn some money from search activity or completing surveys. You can then access the main Qmee interface, which includes access to a detailed earnings history, a refer a friend scheme, and a link to the list of available surveys. One thing that’s for sure is that you’re not going to get rich from the odd few pennies you earn from your searches. Some searches don’t bring up Qmee results and it’s usually only those for high value or financial products that actually have a financial incentive for clicking. (What’s basically happening here is that Qmee earns money for the clicks from their advertisers, and they share some of that income with their users). The genuine opportunity to earn some meaningful side income is with Qmee’s surveys – so let’s look at them next. One of the best things about the surveys on Qmee is that there always seems to be some there to do. This isn’t the case on many other platforms. Much as I’m a fan of both IPSOS Isay and PanelBase, for example, there are often lulls where no surveys come through, and occasional busy periods where you can’t keep up. The reason for Qmee being so well stocked for surveys is that it partners up with all kinds of different third-party survey companies (I’ve even seen a couple of IPSOS surveys pop up on the platform). This wide variety is both a blessing and a curse. It’s a blessing because it means there’s usually an opportunity to earn some change from a survey at any point you fancy doing one; It’s also a blessing because the surveys are varied and in different formats, so they don’t always feel like a grind. However, it’s a curse because some of the surveys are flaky and unreliable – resulting in you wasting time; And it’s a curse because payment for the surveys is incredibly variable. While some rates are fair, 37p (49 cents) for a 20-minute survey is really poor, working out to £1.11 ($1.46) per hour! Companies like Populus Live do their surveys to work out to a return of around £1 ($1.32) for every five minutes you spend on them – a WAY more respectable £12 ($15) per hour. That said, days can pass without a single Populus Live survey coming through. I was not willing to give away all that privacy, let alone read pages of terms and conditions, just for the sake of earning some change whilst completing my Qmee review. It’s only fair to point out that there are plenty of surveys on Qmee which don’t require you to sacrifice yet more privacy, but you don’t know until you begin each one. PanelBase suffers from the same affliction to a lesser extent, but it’s irritating all the same. So, once again, it does come down to your attitude to privacy – if you don’t care who sees what you do online, you have nothing to concern yourself with. However, if – like me – you’d rather defend your privacy a little more, you will probably find yourself backing out of certain surveys when you see what’s being asked of you. All in all, however, Qmee surveys are actually pretty cool, primarily because there are almost always some available to do. If I’m waiting for a call or for something to download, it’s tempting to flick Qmee on, find something paying a decent fee for five minutes of answering questions, and see a satisfying increase to my Qmee piggy bank. Despite myself, I like Qmee surveys more than I wanted to. Qmee really excels when it comes to getting paid. 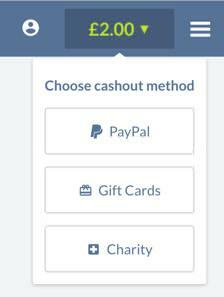 You are paid to a linked PayPal account, and you can request payment at any time, with no minimum payout or restrictions. There are also gift card and charity donation options. This payment policy really boosts the trust factor, and somehow serves to make Qmee feel way more compelling. With many of these sites, I suspect plenty of people put work into their new side gig but then abandon it before ever hitting the minimum cashout level. The fact this isn’t something to worry about makes Qmee more appealing. Qmee is available in the US, UK, Canada and Australia. I struggled to find definitive confirmation of this, so if you know differently, please let me know. I’d advise against “hacks” involving VPNs and fake addresses, which I have found online as ways to access Qmee where it’s not officially available. You’ll inevitably have your account closed if you’re caught out. After starting to review Qmee feeling certain I’d dislike it, I now find myself reluctant to hit that uninstall button! The privacy thing really bothers me here, and I’m personally a little put off some of the surveys due to how quickly all manner of third parties could land up with the rights to track me online. But Qmee itself is well presented, quite fun to use, and does give you the potential to earn small yet easy and consistent side income. If you can access Qmee and you’re not bothered by the privacy implications, I think using it is a “no brainer.” It won’t make you rich, but you’ll be able to pay for some treats just from your day-to-day browsing, and by answering some surveys when you have a little downtime. If the privacy issue DOES bother you, then you face a harder decision. What’s more important, the privacy or the pocket money? Armed with the information in this Qmee review, only you can answer that! You’ll find other money-making survey options here. 77% Great - with caveats! If you're not too fussed about your privacy, Qmee is great - but make sure you're happy with what you may reveal!